In 2019, The RTS Music production opens again the “Young and Successful” contest, which is intended for talented artists, up to 25 years of age, interested in performing, as soloists, at the concert with the RTS Symphony Orchestra. The first “Young and Successful” contest, opened in 2017, drawn attention to a large number of young artists interested in sharing the concert scene with the RTS Symphony Orchestra. This renowned ensemble, through its history for more than eight decades, cherished a program policy that has always been focused on the affirmation and public presentation of the most promising young performers. More than 150 artists, up to 25 years of age, from all over the country were in the strong competition, and among them, the top 20 were chosen, which the audience has already had the opportunity to hear at Kolarac Endowment. 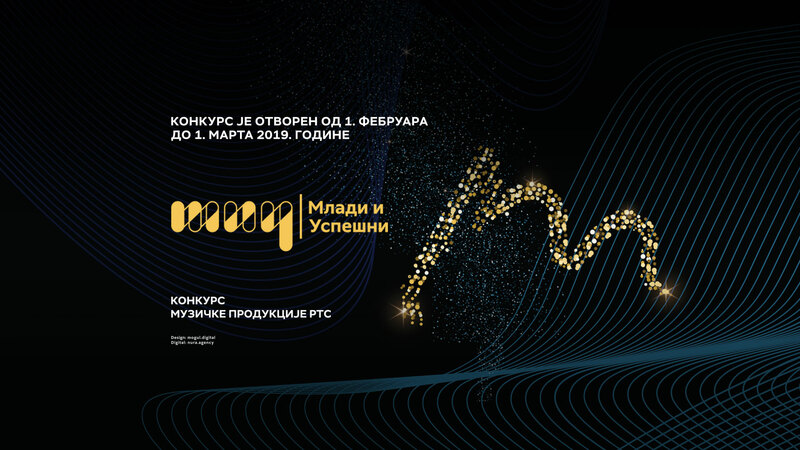 Encouraged by the great interest among young artists, and by the awareness that it is necessary to provide support and nurture the talent of the generation of artists who are just entering the professional music scene, the RTS Music production opens the Contest this year, which is held from 1 February to 1 March. All interested should submit a biography and a recording on the email pressmp@rts.rs or by mail to the RTS Music Production, Hilandarska 2, 11000 Belgrade, with the note “For Young and Successful Contest”.